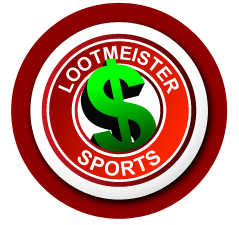 Welcome to the Lootmeister college football betting page! Here you'll find a collection of articles written by professional sports bettors that will arm you with the necessary knowledge to beat the point spread. Beating the books and 52.38% is no easy task! You need to educate yourself and beef up your football betting arsenal so that the odds are in your favor. We gives you tons of tips, strategy and advice here! Be sure to check out our left menu links as well, as they're loaded with more great reads! If you came to this page looking for a recommendation on where to place bets on NCAA football games, look no further than 5Dimes Sportsbook! Not Forgetting the Game That is Sports Betting - In this article, Loot reminds us that knowing about college football is only a small part of the equation. In other words, knowing the sport as well as anyone is nice, but if it's not accompanied by an advanced understanding of the art of sports betting, you'll be stuck losing season after season. In this article, Loot breaks it all down and explains why being a competent bettor who knows all the ins and outs of wagering is just as, if not more important, than being knowledgeable about the sport itself. Check it out! Betting On Important Games - All of us have experienced it, with it either helping us win or lose. And that's when a team suddenly plays better than we saw that team play all season. There is something about certain spots that give rise to a team being at its best. And one of those things is when a team is playing in an important game in a far more urgent situation than you may have seen them previously. Click here, while Loot breaks down how we should approach the betting when a team is facing an urgent situation. The Power of Consistency - A team that delivers week after week, while not being particularly dazzling, is the kind of team that should command our betting respect. Sure, it's nice to bet on the explosive offenses or the defenses that shut down a lot of teams. Those assets are good to have, but when looking to cover spreads at a high rate, we should try to depend more on the teams that are simply consistent and steady. Click here to read why Loot thinks we should be looking harder at the teams that might be less-flashy and less-celebrated by the media, but teams that consistently deliver. If It Looks Too Good To Be True... - It's good to feel confident about a college football pick. But when you start looking at any bet as a sure-thing, there could be trouble around the corner. In all walks of life, there always ends up being a flip-side to anything that looked too good to be true. In this article, Loot breaks down how that principle applies to college football wagering. Click here for more! College Football Betting Quiz - Take this short quiz to see if you understand the basics of college football betting. This brief quiz will allow you to know if you have it down-pat or if you might need to do a little more homework. Why Being a Fan Means Little in Wagering - A lot of fans of college pigskin know a ton about the sport. They can tell you who are the backup tight ends for Western Kentucky. But when they bet on the sport, they learn the hard way that knowledge of college football is only one part of the equation. You have to first know the ins and outs of college football betting. Loot breaks down the transition from fan to successful bettor. Click here! Understanding College Football Line Movement - Most people think that line moves only happen when the sharps hit one side of a game. That's not true though. There's many reasons for NCAA football line moves. It can range anywhere from weather conditions to injuries to key players to yes, wiseguys action. Loot digs deeper into this topic which fascinates many. Avoiding Bad Odds - There's an old saying that says parlays are why bookies drive cadillacs. It's a real old saying and should probably be modernized to say "parlays are why bookies live in mansions, drive corvettes, new SUV's and eat at steakhouses every night." It may as well, because it's the truth. It's tough enough to win one bet, much less two or more. Loot urges readers to stick with straight bets as opposed to exotics where your chances of winnings really take a crap when you hooked into high juice wagers. Why Betting Systems Don't Work - If you've ever been in a Las Vegas Sportsbook on a Sunday you know that it's very common to hear novice bettors (squares) flapping their lips about some great "system" they have that is going to lead them to riches. If I had a penny for every time I've heard that line I'd be LOADED! Systems don't work. Don't be lazy. Do your homework. Basing potential future outcomes on previous results, some of which the matchups were from a decade ago, just isn't sound handicapping. Some of you may be saying "But what about the double up system?" .... Yes, it works temporarily and may even work for years, HOWEVER, when you hit that 10 game losing streak (and you will - even the pros do! ), you'll be giving it all back and then some. What Bookies Want You to Do - Most sportsbook promotions are centered around parlays, teasers, exotic wagers and futures. Rarely do you hear books pushing straight bets and totals. Keep it simple! Simplicity increases your odds of beating the books. View sides/totals as meat and potatoes. All the rest is candy, junk food and pop. While they latter may taste good at the time, their long term effects will leave you holding an empty bag. The Pitfalls of Picking a Bad Sportsbook - It's hard enough to beat the point spread. Nobody should have to worry about getting paid their winnings upon request. Loot talks about the online sportsbook industry and urges bettors to avoid potential fly-by-night operations. Stick with the best. This may mean passing up sign-up bonuses that sound too good to be true. It's imperative that you're betting with a reputable bookie, otherwise you're just wasting your time. Teasing Favorites - Many sharp bettors believe that college football teasers are sucker bets. This isn't the csae though. These are great bets that offer great value when used properly, such as working with key numbers. Wagering on College Bowl Games - Regular season college football betting and bowl season wagering are two completely different animals. Loot explains the difference between the two and gives tips, advice and strategy on how to beat the college football bookies. The Do's and Don'ts of College Football Betting - This is an article that if you heed our advice, you WILL increase your winning percentage by a few points! Many college football bettors play way too many games each Saturday. You're not going to win a shootout with the books. You have to pick your spots and pull the trigger only when value rears it's head. Turn college football gambling into college football investing by following these simple steps!